How To Become A Professional Poker Player - Casino Answers! This is a difficult question to answer. A player really can’t expect to become a poker pro. They have to learn the game and then see if they have the raw ability to play. On top of this there are many elements of becoming a poker pro. You need to learn where the money comes from in poker. The Theory of Poker is a vital book to learning and understanding how you should think about poker, and how to profit off of the game. It is not a strategy book per se, but will give you a greater understanding of the game. After this, a player needs to actually learn to play. Reading strategy books for your chosen game type is a start, but a player needs to ease themselves into playing. A player who wants to learn to play for a living should begin by mastering playing one table with a small bankroll, then slowly build their bankroll and learn to play two tables at once, then three, and four. Once their bankroll has expanded they then need to invest in better monitors so they can begin playing six or eight tables at once. At the same time they should be learning to beat higher and higher stakes. A player does not need to be able to play eight tables of 3/6 No Limit Hold ‘em to play for a living though. Instead, a player should try to discover their comfort level, and when they cannot hack it any higher settle into that stake. Fortune Poker is a great website to start out on, there are a lot of opportunities for freerolls and low cost tournaments. Of course, all of this depends on your definition of what a professional poker player is. Do you want to play to support yourself instead of having a “real” job? 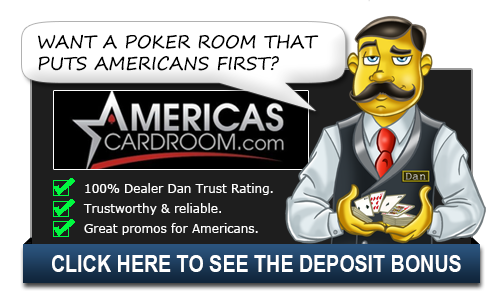 Or are you looking for the type of fame that gets you on ESPN and sponsored on a major website like Full Tilt Poker? This is quite different. If you are looking to make a living, start with our tips above. That is a good way to get started and should get you on the road. Always stay within your bankroll and always leave yourself outs if things go wrong. For those looking to become famous, well, that’s a bit more tricky. The easiest way to do it is also one of the hardest things to do in poker: win the World Series of Poker. If you do that, the sponsors will come chasing you and you’ll be set for life. Of course, winning the World Series of Poker isn’t exactly easy. Still, you should try and get more involved in tournament play and keep an eye out for those types of tournaments that can get you into another tournament that will be televised. Play well in those, show a little personality and you could be the next Phil Hellmuth or Annie Duke. The truth is there is no “right way” to go pro, it’s about playing a lot of poker and building yourself up as you go.